Adventure Science center adds changing monthly science themes, new programs, and extended operating hours starting this July. 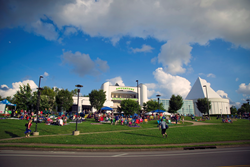 Adventure Science Center is an independent, not-for-profit science center in the heart of Nashville, Tennessee. Adventure Science Center is excited to announce a new monthly lineup of events and programming designed to engage audiences of all ages and a new schedule starting this July. Highlights of these changes include 12 different monthly themes exploring a variety of science, technology, engineering, art, and mathematics-related topics (STEAM) through creative daily programming, activities, guest speakers, and labs. The science center will stay open late every second Saturday, increasing access for guests and time to explore. The last Saturday of the month, guests can enjoy a variety of drop-in labs that allow guests to participate in hands-on science individually or with friends and family. “The new programs and schedules are representative of the many exciting changes and innovative projects going on at Adventure Science Center. We’re always looking for ways to improve our unique experience, to keep it relevant, and to inspire people to embrace science in new ways,” said Steve Hinkley, President & CEO. All events and programs listed below begin July 1, 2018, unless otherwise noted. These blowout science celebrations will launch the new STEAM theme of the month with special hands-on activities, Science Live! demonstrations, games, and activities by special community partners. Super Science Saturdays kick off the month-long exploration of each topic, helping guests further explore the month’s theme and highlighting community businesses, institutions, and partners. All activities and demonstrations are free with the price of admission, unless otherwise noted on the website. The science center will remain open until 10pm on these dates (an extra 5 hours) to allow guests more time and access to all the exhibits and activities. From 6:30pm to 10pm, Sudekum Planetarium will continue to offer the popular Second Saturday live shows, documentary-style features, and laser shows, but with the added option of museum exploration until 10pm. Regular daily museum admission and planetarium show pricing will continue through the evening, but evening guests can purchase additional planetarium shows for the discounted price of $5. These casual, hands-on science labs will feature a variety of activities and require no pre-registration or additional fees beyond museum admission. Guests can drop in alone or with friends and family to enjoy a more in-depth exploration of the month’s theme. Each lab will offer a variety of activities in a range of levels to provide every guest with a chance to engage, create, and learn something new. 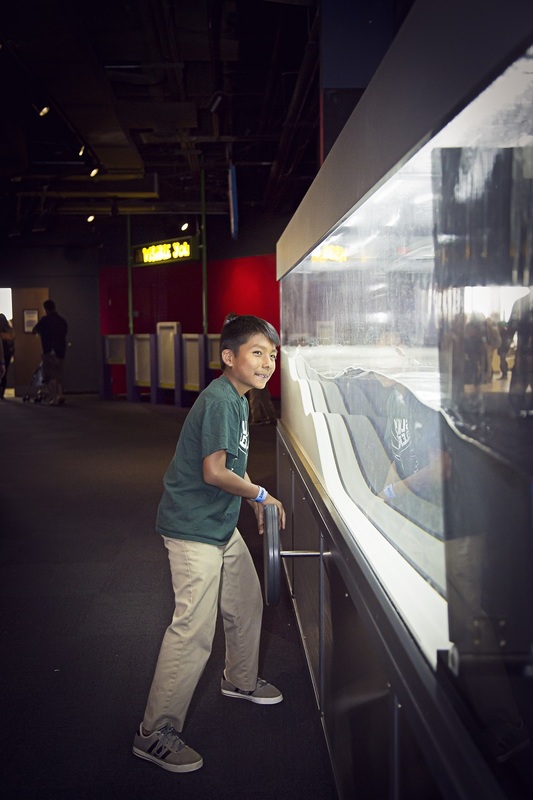 Family Fun Labs are included with the price of admission to the science center. Adventure Science Center is turning up the volume on its typical summer series in Sudekum Planetarium by offering laser shows every afternoon Memorial Day weekend through Labor Day weekend. Some highlights in the lineup include Laser Country during CMA Music Fest, Laser Pride during Nashville Pride Festival and on the first-ever LGBTSTEM Day, and Laser America on Independence Day. Additional ticket purchase required. Beginning June 2, guests who purchase general admission or combination tickets onsite two hours prior* to the science center closing will enjoy free general admission to the science center on the following day. To redeem this special offer, guests will need to show their admission receipt from the prior day. *Twilight Special will begin at 3pm, except on Second Saturdays when it will begin at 8pm. Free admission is only valid for the day after the date the ticket was purchased. Along with all of these new offerings, Adventure Science Center Members can take advantage of a special new perk – members-only museum hours. From 8:30 to 10am, members can enjoy an exclusive opportunity to explore the exhibitions before the science center opens to the public at 10am. Yoga Under the Stars in Sudekum Planetarium is also held on the last Saturdays of the month. Non-Member yoga attendees’ access will continue to be limited to Sudekum Planetarium only. For more information, visit AdventureSci.org or call Alexis McCoy, Director of Marketing and Communications, at (615) 669-5094. 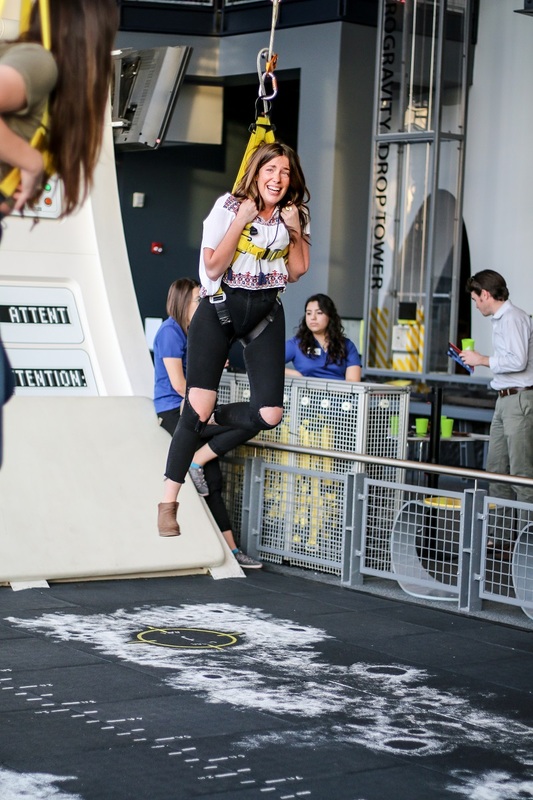 Woman experiences simulated weightlessness on the Moonwalk in Space Chase.Adventure Science Center's Space Chase provides opportunities for guests to explore the wonders of our universe through simulations, interactive models, and games. 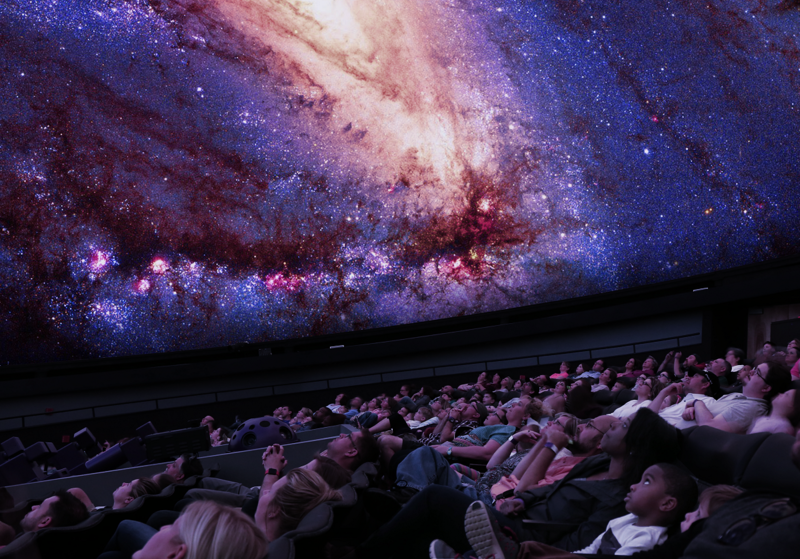 Sudekum Planetarium provides daily programming covering everything from outer space to history and art.Adventure Science Center's Sudekum Planetarium features a one-of-a-kind hybrid system merging the GOTO Chiron star projector technology with fulldome digital imagery and surround sound creating an experience unlike any other. 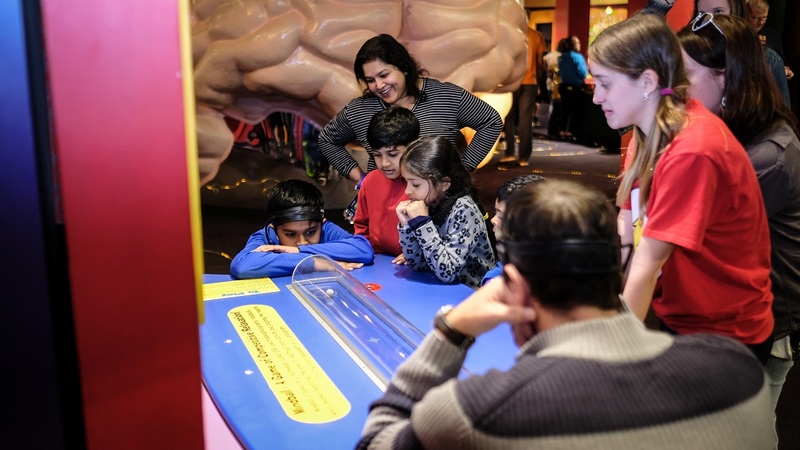 Guests battle to relax their minds in a round of Mindball.Adventure Science Center's BodyQuest provides a multitude of hands-on explorations into all the systems of the human body. 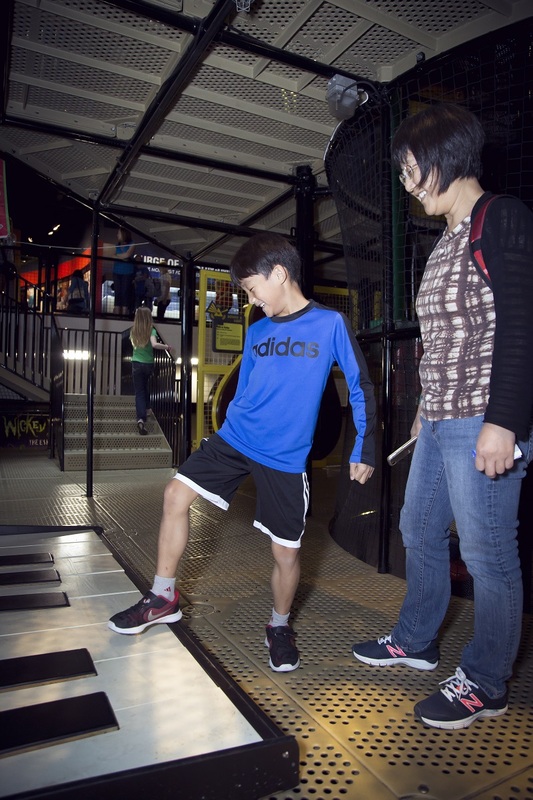 Guests tickle the ivories on the Adventure Tower's walk-on piano exhibit.Adventure Science Center's Adventure Tower features six levels packed to the brim with hands-on explorations that make learning fun. 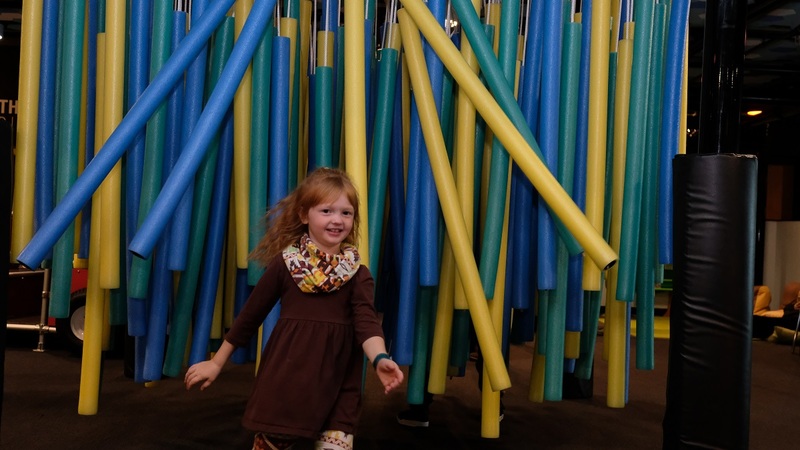 Girl runs through the sensory Noodle Forest in Destination Exploration.Adventure Science Center's Destination Exploration is specifically designed to help budding scientists ages 0-5 engage in STEAM learning in a meaningful way. Boy explores the power of Earth's forces at the Surge of a Tsunami exhibit.Adventure Science Center's Nature's Forces area allows guests to explore tsunamis, earthquakes, vortexes and more.